It’s hard to record everything that happens on a road trip. Especially if you’re blogging at the end of a long driving day. I thought some outtakes would be appropriate. These could last for awhile! 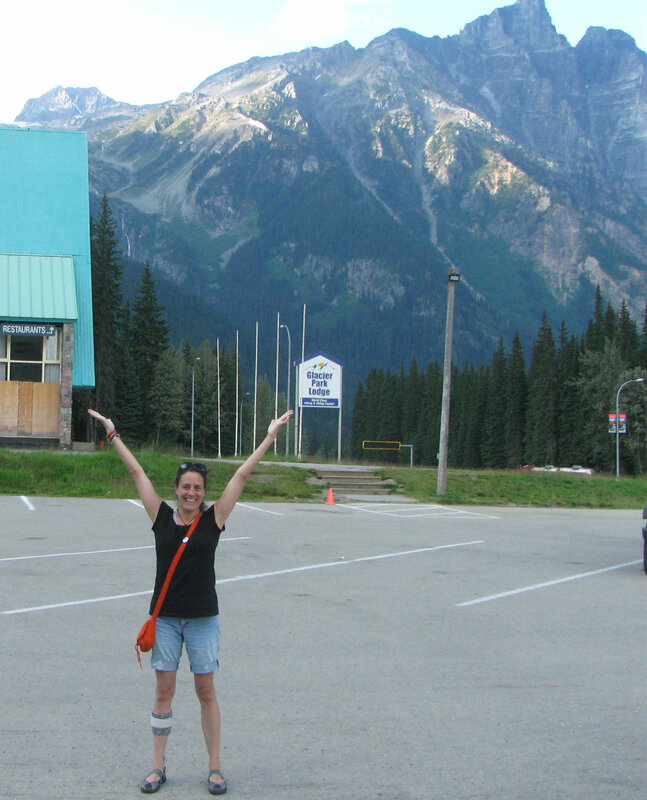 Today’s published out-take happened in…… Rogers Pass, British Columbia, a stunning part of the Rockies. The mountains are spectacular, but some tourists find other things even more spectacular. 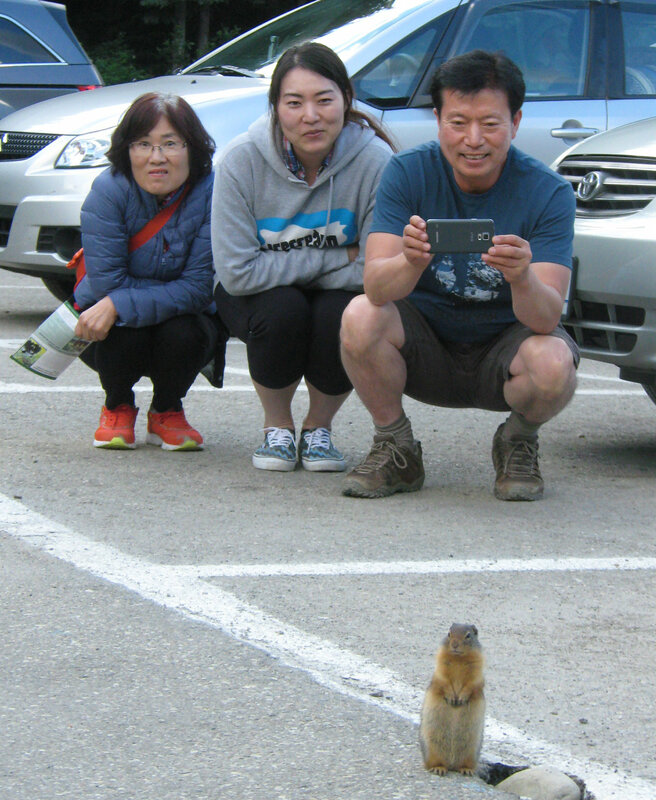 This Korean family was intrigued. And, I was intrigued with them and we had some fun. I’m sure the gopher felt proud. After I “forced” them to pose for me I thanked them in Korean. The father was instantly impressed, threw his phone to his daughter and his arm around me. Photo with me! My turn to be proud. Me and the gopher. Day 15: Last day rolling to…. Confederation Bridge!